Thousands upon thousands of pink flamingos taking to the sky in a stunning display of sound and colour. Learning to tell the difference between a Plains zebra and a Grevy’s zebra. And what on earth is a gerenuk? Wildlife aplenty, from the common to uncommon, majestic to minute. Sunset drinks around a crackling campfire. Samburu. Nakuru. Masai Mara. Come see for yourselves what an escape from the ordinary this safari can be. This is a comfortable safari at a very reasonable price. Not only does this safari offer excellent value for extremely comfortable properties, it also offers what we consider to be the luxury of all luxuries – a safari in a customized 4×4 safari vehicle with an expert silver level KPSGA guide. Departing every Sunday, with a minimum of two people, it visits the Samburu Reserve, Lake Nakuru NP and the Masai Mara. These trips have the potential to become privately guided safaris for groups of friends or family. The first stop of this trip is at Elephant Bedroom Camp on the banks of the Ewaso N’giro River. Elephant come to the river to drink, and in the dry season, use their tusks to dig deep wells in the dry river beds. These elephant excavations then become a focal point for other plains game and troops of baboon, attracted by the fresh water supply. After Samburu, the safari will meander its way down to Lake Nakuru and Mbweha Safari Camp which is set on the private 6400 acre Congreve Conservancy near the southern border of Lake Nakuru NP. 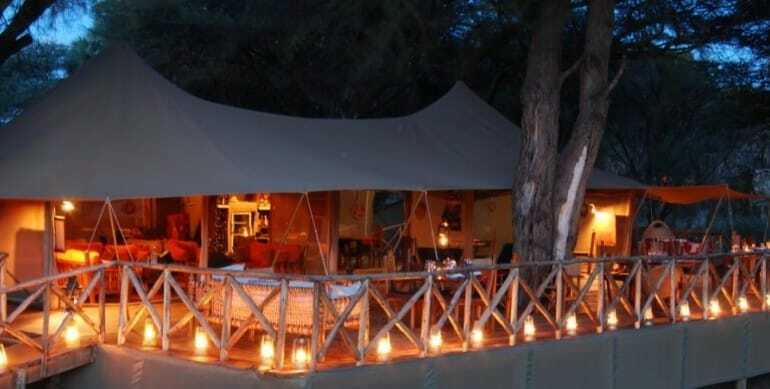 Your final 2 nights will be at Tipilikwani Mara Camp just outside the boundaries of the legendary Masai Mara. Recommended months: Year round, with best values from October – 15 December. This safari tour begins and ends in Nairobi, Kenya.